I wanted to share a few more Valentine’s Day cards with you all today. These next two cards feature Action Wobble Springs which allow the focal element to wobble back and forth. 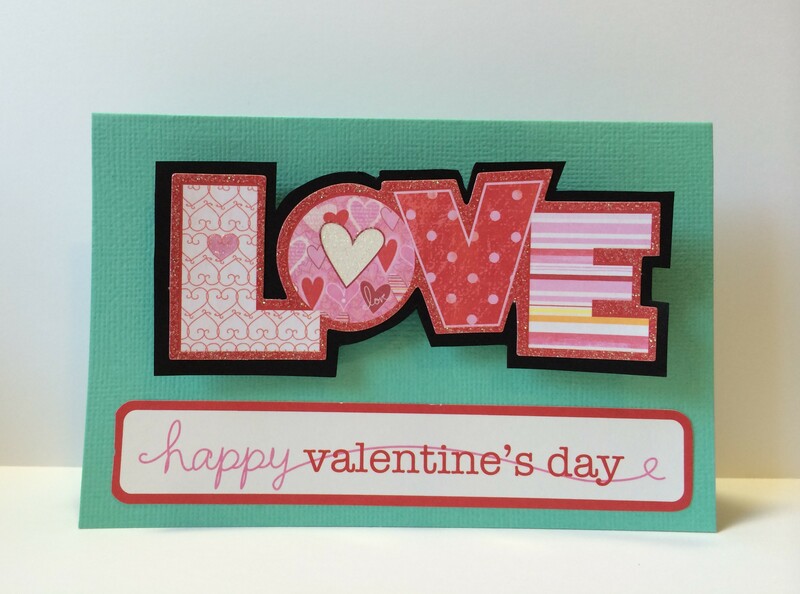 This card features two diecuts from a K & Company Valentine’s Day pack. I mounted the word love on black paper and cut the paper to frame the word. The Action Wobbler is under the word love. 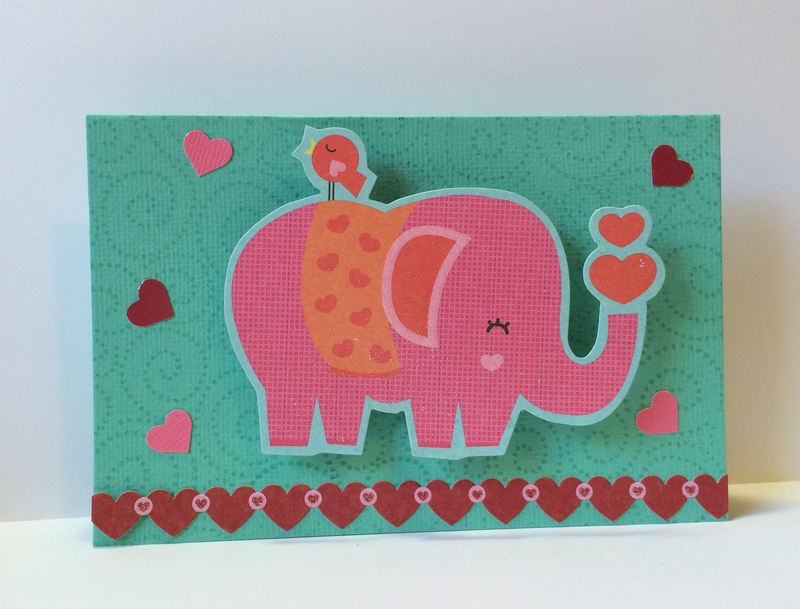 This card also features diecuts from K & Company. I bought several packs on clearance at Michael’s years ago and they are perfect for quick and easy cards. I love to color my stamped images but, when I am making lots of cards at once it is nice sometimes to just pop a premade image onto my card. I am playing along this week at the Simon Says Stamp Challenge Blog. This week’s inspiration includes some spooky images that are just perfect for Halloween. 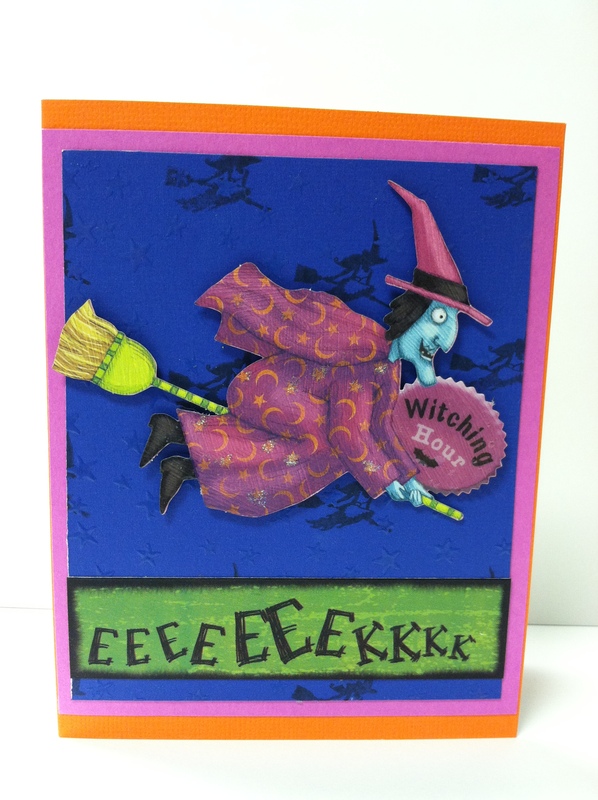 I created this adorable witch on a broomstick card using some K & company Halloween die cuts. I used my Waltzing Mouse Midnight Feast, stamp set to create the embossed stars and witches for my background paper. I also used some glossy accents on the witch to highlight the sentiment. 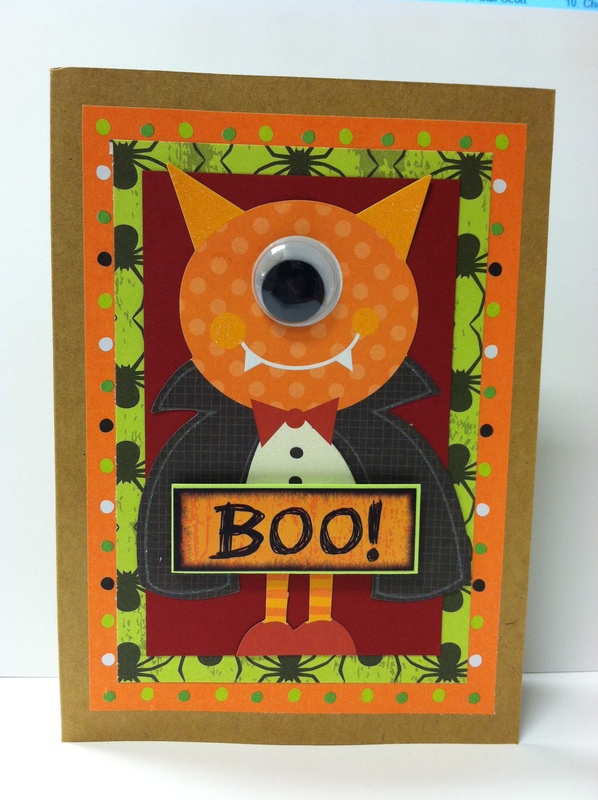 I made one more card using K & Company Halloween die cuts. This one features a cute Cyclops creature. In order to dial up the cuteness I added an over sized googly eye and a double layer of Halloween patterned paper. You can enter a card at Simon Says Stamp Challenge Blog; Joy’s Eerie Inspiration for a chance to win a $50 gift card to the SSS store! Posted in Any Occasion, Halloween cards and tagged cute halloween cards, Cyclops, Flying Witch, Halloween Card, K & Company die cuts, K & Company Halloween, Witch on Broom. Bookmark the permalink.